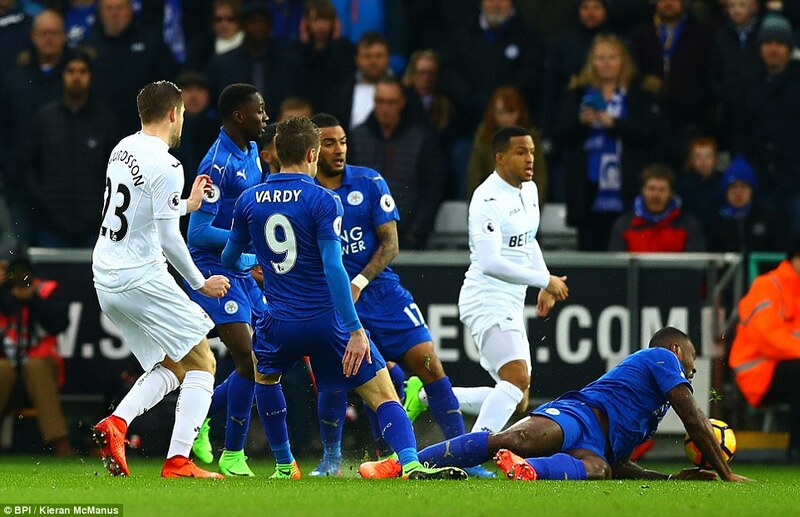 If ever a single moment could capture the tone of Leicester’s season it was when Danny Simpson took a first-half throw-in and missed the pitch. Just one more indignity in this ugly, brutal defrocking of beautiful champions. 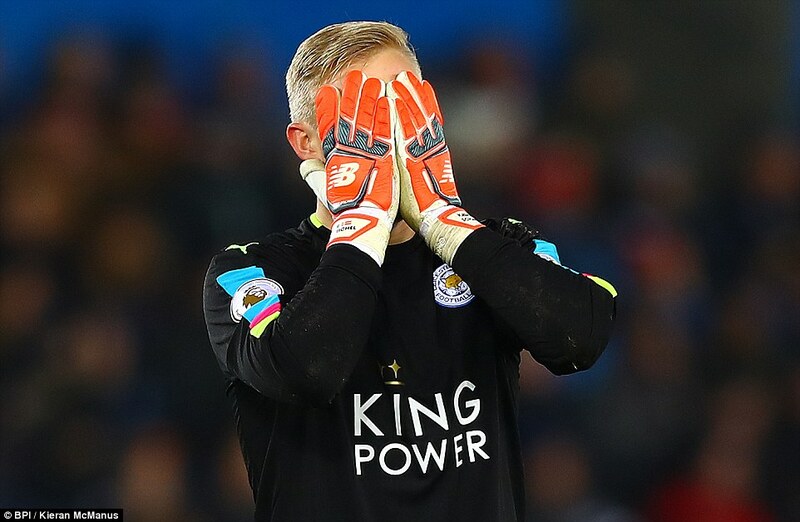 The only question now is how and where this will end for poor old Leicester. Sadly for anyone who enjoys fairytales, the answer is looking increasingly bleak. This was another appalling performance, another game that supports the suspicion that the wonder of last season was just the first part of some kind of Faustian pact. They are falling at a dizzying speed now, grumbling privately about their manager as they go and collecting all manner of horrific records. 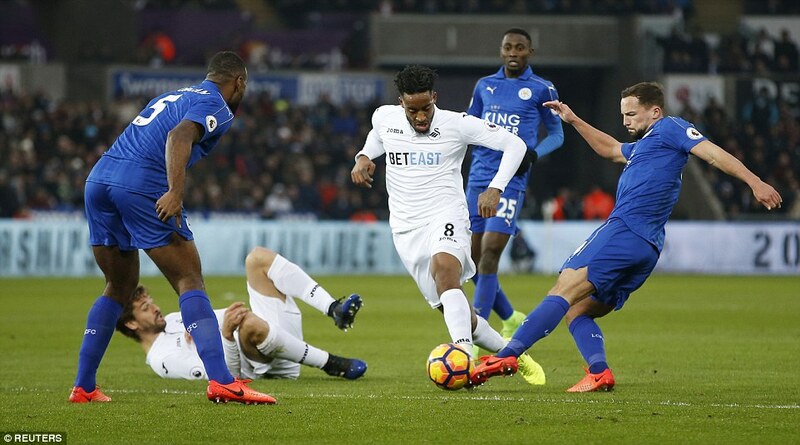 The latest is that they are the first reigning champions to lose five consecutive top-flight matches since Chelsea in March 1956. That stings, as do the 15 away games that have passed since they last won on the road. And the statistic that shows they are the only side in the top four divisions without a goal in 2017. Perhaps most painful of all will be the knowledge that this time a year ago they sat five points clear at the top of the table after crushing Manchester City. Here, they lost to Swansea with nine of the same starters. That can’t all be blamed on the sale of N’Golo Kante. Ranieri hinted as much with his post-match reflection that he had been too kind for too long to those who took Leicester to the top. Given how things have been going, and the uneasiness towards the Italian in the dressing room, it was a risky sentiment to express. But then it might just be the slap a few of them need. It has certainly reached that stage when desperate and new measures are needed. But take nothing away from Swansea. 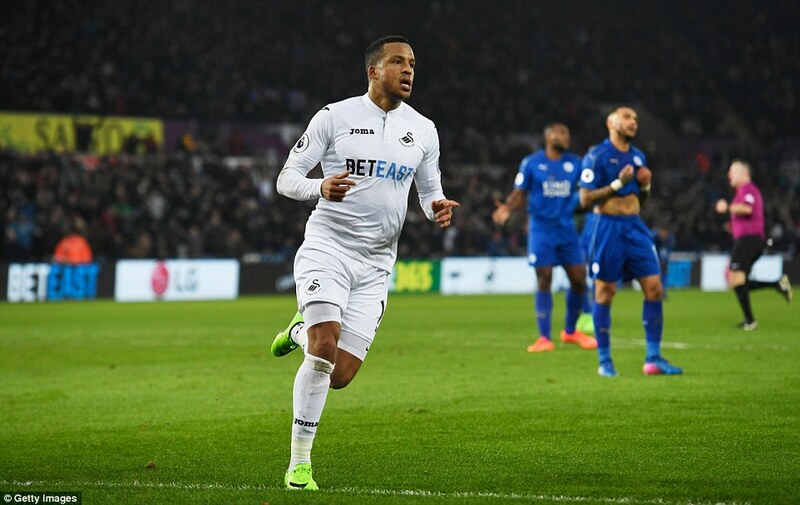 They are a side transformed by Paul Clement, whose haul of 12 points from the past six games is bettered only by Everton in the whole division. He is coaching his way out of an awful mess and doing it marvellously. 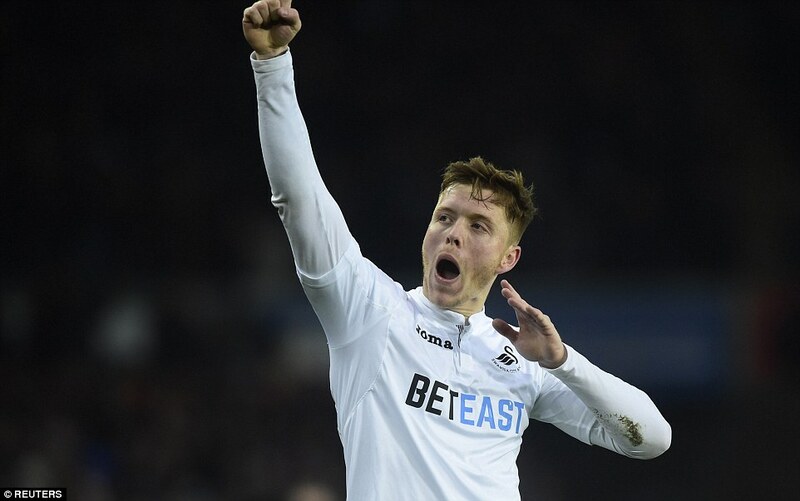 Quite aside from the winning goals from Alfie Mawson and Martin Olsson in the first half, this was a victory built on an excellent defence and midfield, and on players passing like they used to in these parts. They are now up to 15th, their highest place since September. 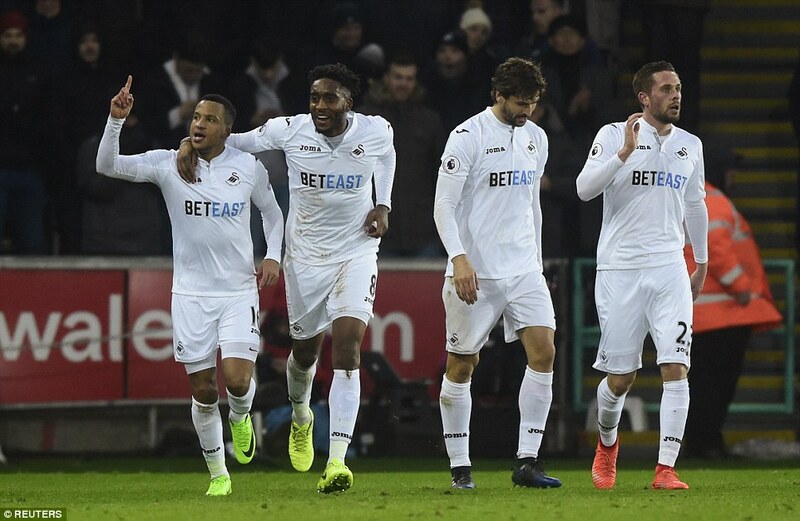 Out of the bleakness of the Guidolin and Bradley eras, it is quite something to see Swansea 3.0, even if credit for this latest win will understandably be muted in the rush to ask what on earth is happening at Leicester. 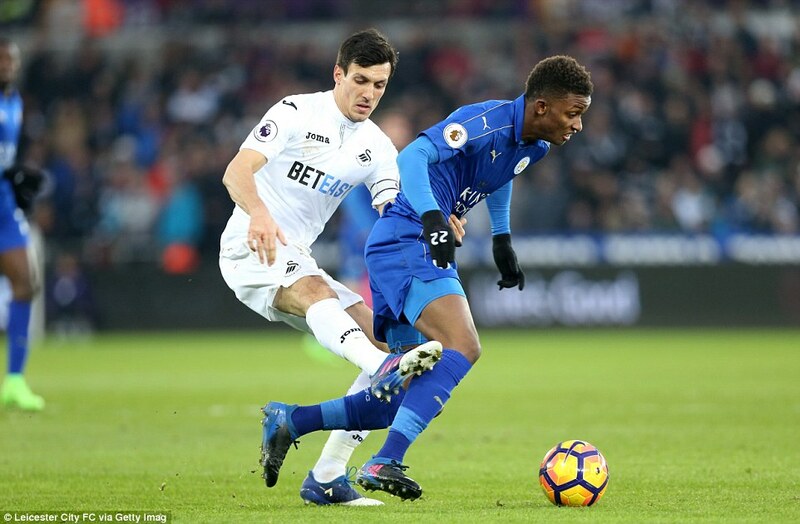 To think, Ranieri had turned up in south Wales with a degree of hope, albeit just a slither, because of the form of Demarai Gray, who was so impressive in the FA Cup win over Derby in midweek. He is perhaps one of the only players in this squad who doesn’t appear to be questioning the meaning of life right now. 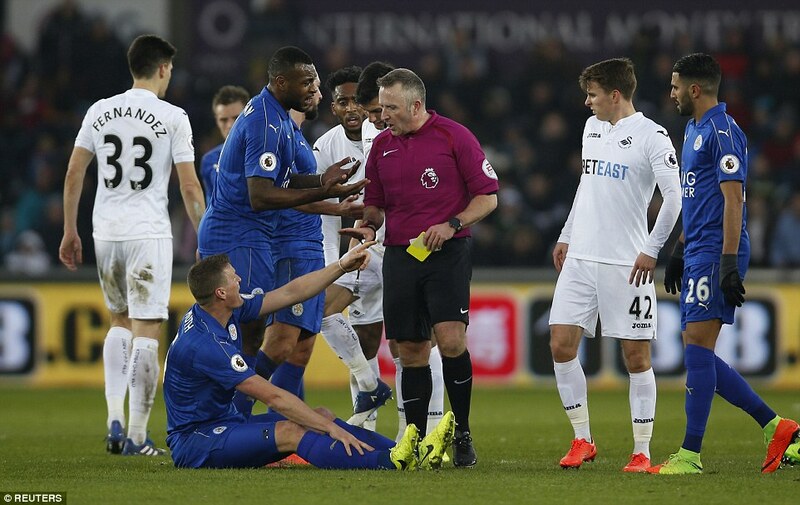 His inclusion was one of two changes to the Leicester side last deployed in the Premier League, with Marc Albrighton also coming in and Ahmed Musa and Shinji Okazaki dropping to the bench. Gray, true to purpose and type, was dynamic, aggressive and willing. 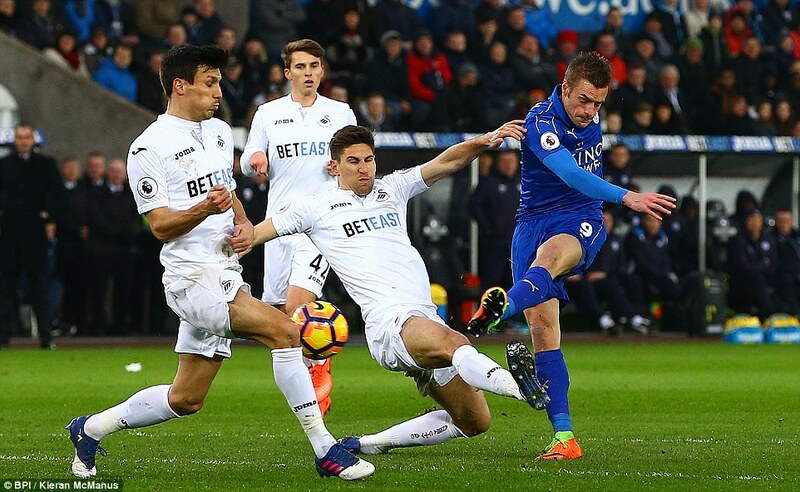 The problem was the other 10 – they had no penetration, no swagger, no ideas beyond getting the ball to Gray or Jamie Vardy and seeing what might happen. The answer, inevitably, was precious little. 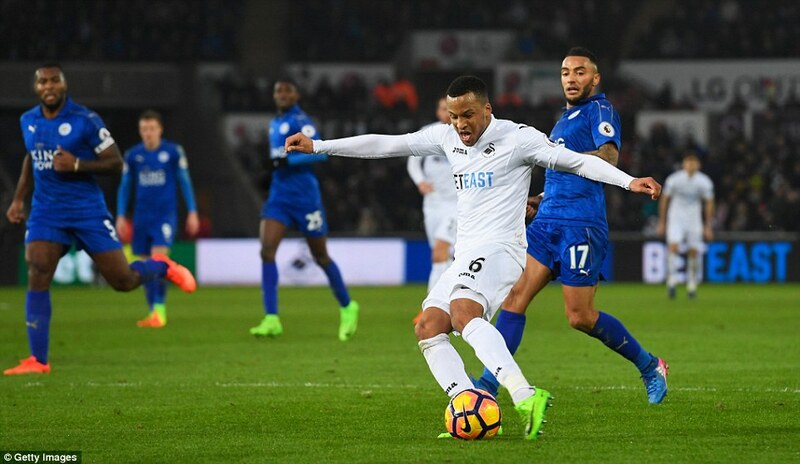 Against the Francesco Guidolin and Bob Bradley versions of this Swansea side, such limited strategies probably would have worked. 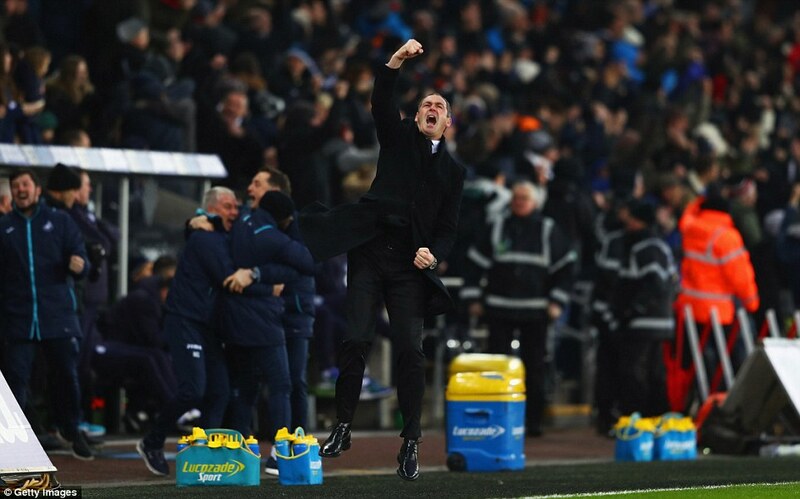 Against Clement’s Swansea, the organisation was more than competent enough to deal with it. 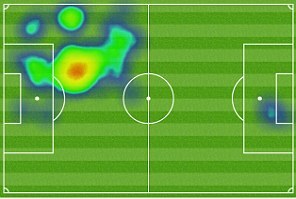 By the end of the first half, Lukasz Fabianski had not been required to make a save. Nothing even close to one. 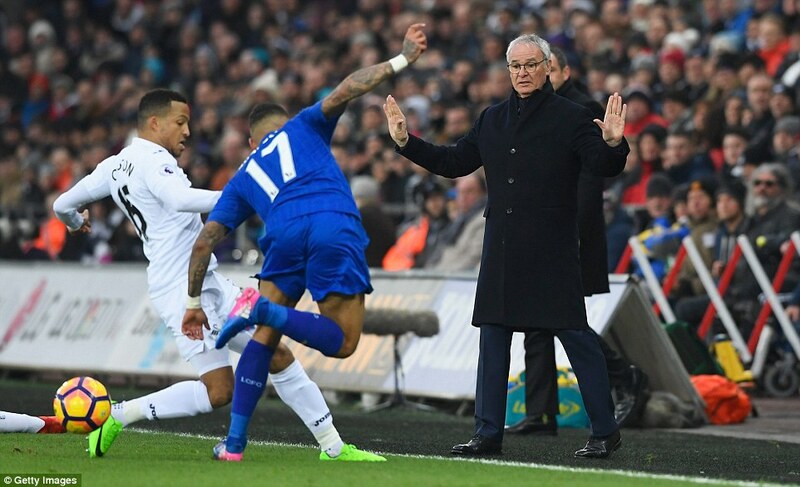 Ranieri stood there watching and calling out instructions. Either they were ineffective or the players just didn’t listen. In that environment Swansea revelled. At first they were cagey, just like their guests. 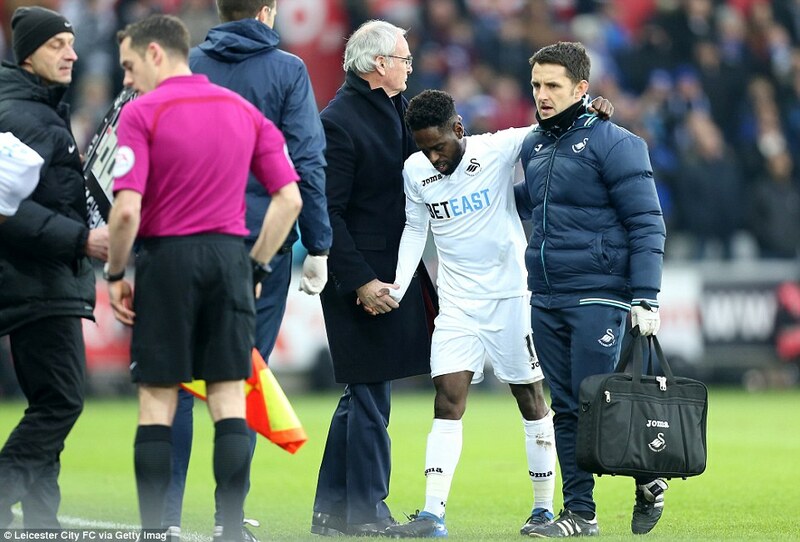 But they settled magnificently, despite losing Nathan Dyer after less than seven minutes to a potentially serious Achilles injury. By the close of the half, they were dominating the champions. 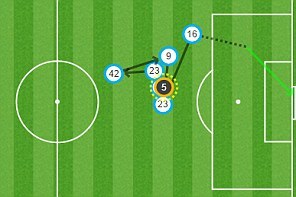 The first goal came on 36 minutes. 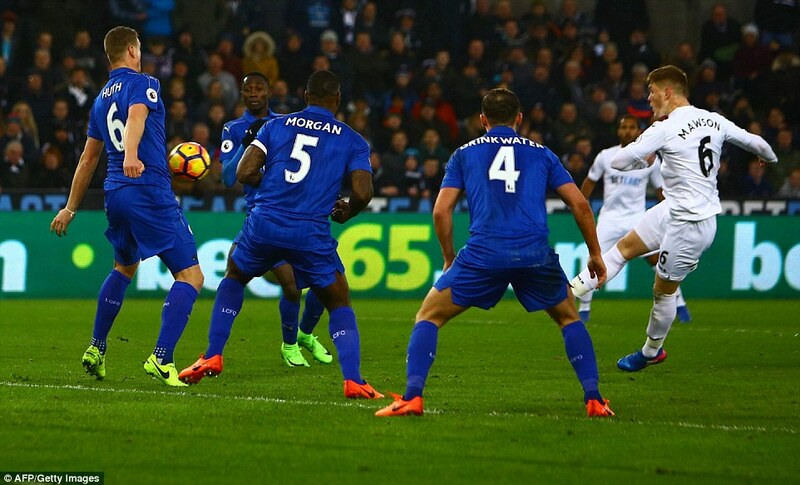 As ever, Gylfi Sigurdsson was involved, floating a free-kick into Leicester’s area which Robert Huth headed sideways rather than out. 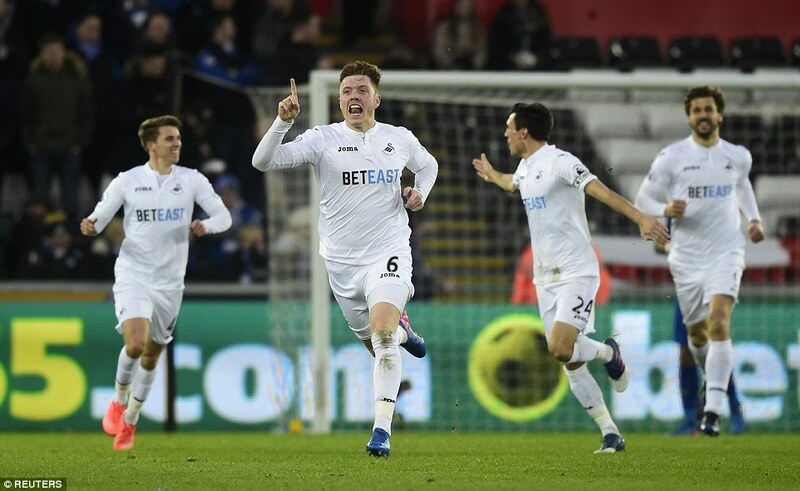 Fernandez headed back across and Mawson, a centre-half, finished like a striker. 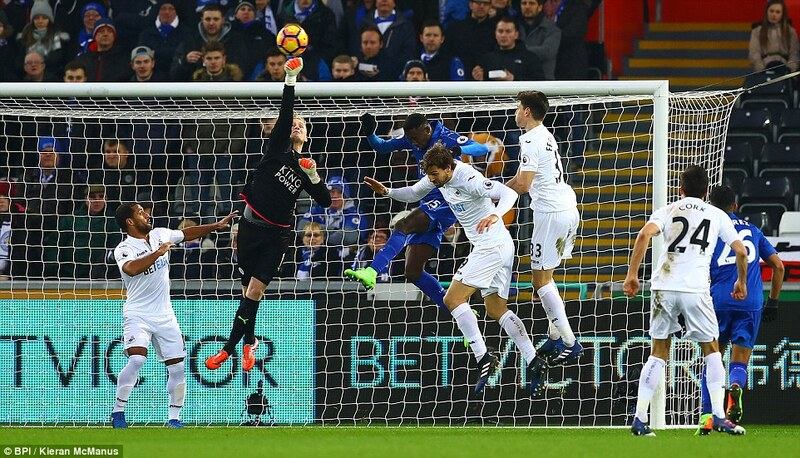 The technique of his volley was flawless, making five league goals for the season, two for Barnsley, three for Swansea. 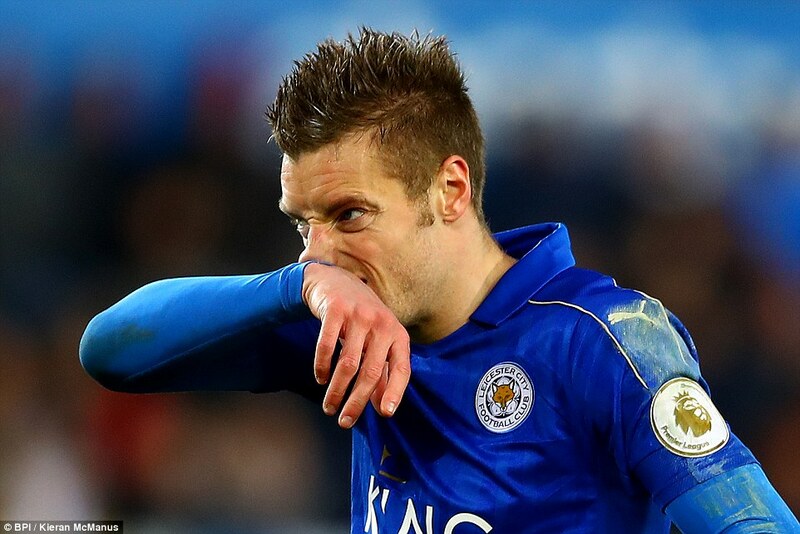 Tellingly, Jamie Vardy has the same tally. 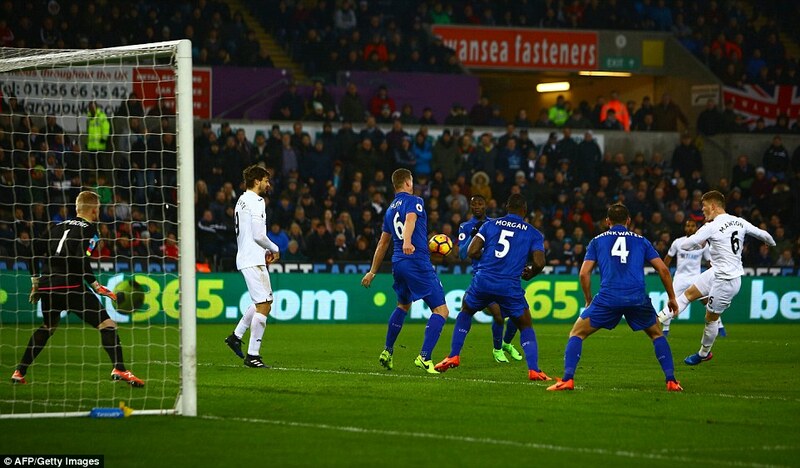 The second Swansea goal in first-half stoppage time was just as attractive, a one-touch blitz past the opposition. 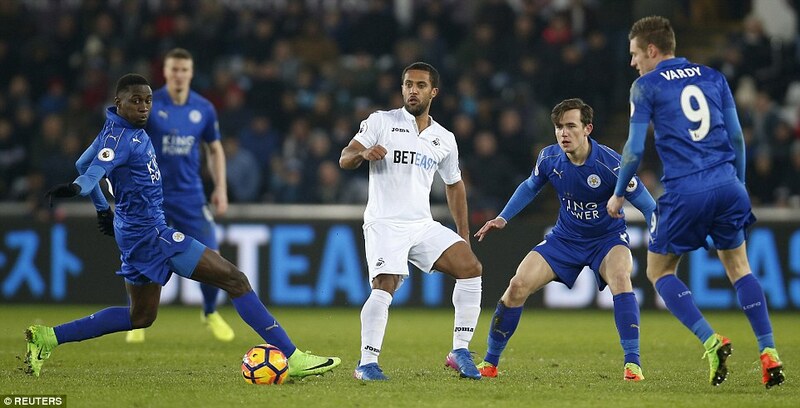 Tom Carroll, so impressive since joining from Tottenham, got the move going with a pass to Fernando Llorente, who helped it on to Sigurdsson. His first-time throughball was perfectly timed to Olsson’s run and after two touches he beat Schmeichel at his near post. The goalkeeper could have done far better. Ranieri reacted by bringing on Islam Slimani and Ben Chilwell at the break and he also switched his system for a third time. He tried Gray behind Vardy, then Riyad Mahrez, then went to two up top. No response. Zilch. Nothing. It was all so utterly ineffective, barring a one-on-one for Slimani that Fabianski saved. 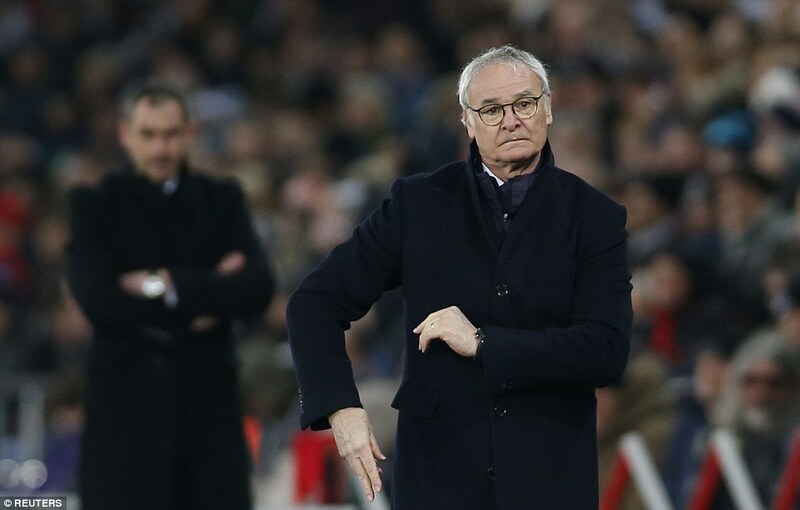 Ranieri continued to tinker and all he found were weak men where champions once stood. Bleak, indeed.